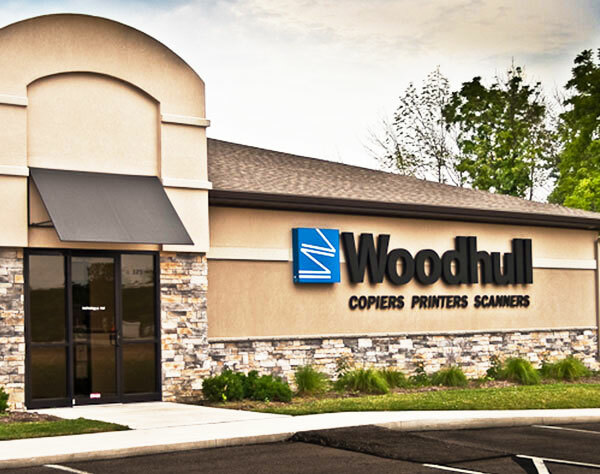 For over 65 years the Woodhull name has come to mean exceptional local service and support for copiers, printers and software solutions. Woodhull, LLC is a single line provider for Ricoh offering a complete line of document management solutions. Woodhull is also a leader in providing solutions for electronic document storage, retrieval and management. Woodhull partners with our Customers to achieve document management with meaningful cost reductions, improved productivity and environmental stewardship. Woodhull’s emphasis on 100% Customer satisfaction, while providing total document management solutions, sets us apart from our competitors. This is why Woodhull received the Better Business Bureau’s Integrity Eclipse Award. We partner with our Customers to determine the right solutions for their document management and workflow needs, then implement, service and support this solution. Woodhull is certified as a Woman Owned Business Enterprise by the National Women Business Owners Corporation (NWBOC). Woodhull is a Nationally Recognized Leader in Document Management Software Solutions. Our live fire demos and quoting started with five vendors, representing four different manufacturers. After extensive testing, preliminary training and due diligence, the decision was to award the contract to Woodhull. I can honestly state, of all the competing vendors, Woodhull was the only firm that did what they said they would do and did it on time, each and every time. Woodhull’s service, support and products are EXCELLENT on all fronts. I highly recommend Woodhull and truly value their business relationship. Their competitive pricing got them to the trial period, but their customer service throughout the trial is what won the bid for Woodhull. We have now been operational for 8 months and are very happy with our decision. We have reliable equipment and a great local service team. I highly recommend Woodhull. We seamlessly migrated 90 devices with minimal to zero disruption to our end users. Woodhull is without a doubt a wonderful, passionate, caring company. You will find that Woodhull staff – from the owner to the account specialists, information technology officers, customer care associates and technicians – everyone treats you like you are part of their “family”. We owned our own copier for years. About three years ago, I began to research the possibility of leasing a new copier/scanner. When I contacted Woodhull, they were able to lead me through the process and answered all the questions that I had. The changeover was seamless, thanks to the Woodhull team. Our sales consultant is always keeping in touch and will make sure any problems or issues are responded to immediately. Any work orders that are needed are quickly looked into and fixed by knowledgeable technicians. Requesting service and ordering supplies is quick and easy using the website. I would like to express my overall satisfaction with the Woodhull team related to our lease-purchase of a new Ricoh copier and related maintenance. I definitely recommend Woodhull and look forward to continuing our relationship with them. 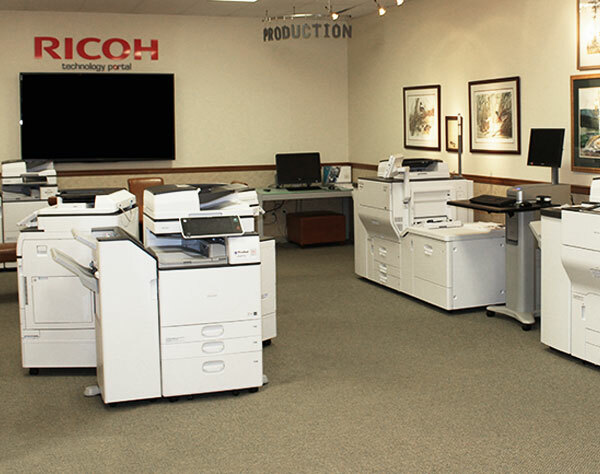 Ricoh manufactures an extremely user friendly interface, and Woodhull provides superior training and support. Out entire staff fully supports our decision to switch form Xerox to Ricoh and Woodhull. Our end users log in with their ID badges to gain access to the Ricoh functions. The solutions and services that Woodhull provided helped us reduce costs and created a more production workflow. Entering into a bulk scanning project, we knew the risks associated with the movement of our documents. Therefore, it was crucial for us to select a partner that understood document security and had proactive solutions in place to protect our information. To date, we have scanned over 1.7 million images with Woodhull and they have been clear, orderly and easily imported into our administrative system. From the point of pickup to final delivery, they have been very easy to work with and responsive to our needs. We worked with 3 different local companies and Ashely and the Woodhull group were by far the best to work with. There always seems to be hidden extras in copier quotes – and all types of hoops you have to jump through to get rid of your existing copiers. Ashely worked with us through the whole process and assured us there were going to be no surprises from Woodhull. She was the only one we felt comfortable trusting. Woodhull has always provided us with excellent products, training and support. Ken has been our account manager for many years and I know that I can contact him with any issue and it will be treated with urgency. I have our technician’s cell phone number and am able to reach him at any time if needed. He routinely stops in our building just to do routine maintenance. I wanted to write this short letter to say how happy we are with our Ricoh copier/scanner/fax. It is absolutely the least problematic machine I’ve ever had the pleasure to use in my 35 years of office work. I received visits and quotes from several vendors but Susan and Woodhull stood out above the rest. She has a great understanding of what the customer needs and the products Woodhull provides and comes up with the perfect fit. The day our new machines were installed could not have gone smoother from the technical side to the end users. Woodhull was selected because of their price, their product and the critical deciding factor…their support. Their sales consultant took the time through several site visits to thoroughly understand our needs. 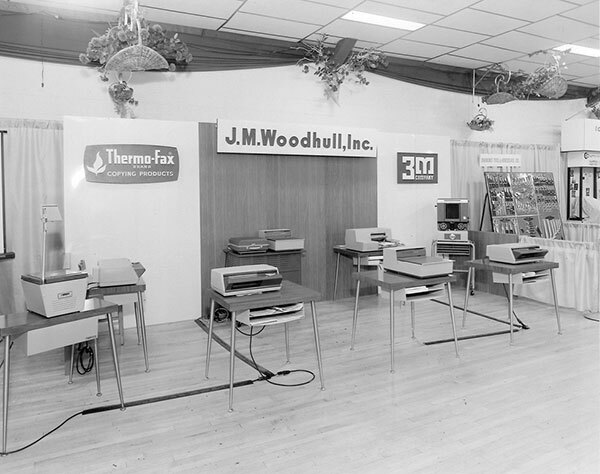 The Woodhull team arranged a demonstration of the copiers. Seeing the copiers in action and the color output gave us confidence in their recommendation. We are very satisfied with the proactive approach and the professionalism and knowledge of the Woodhull team.